To practice the internal arts of Tai Chi and Qigong with consistency is to feel more alive in body, mind and spirit. But what does that really mean? In brief, because the practices of Tai Chi and Qigong focus on relaxing, restructuring, healing and renewing the nervous system, the body begins to harmonize and regulate, injuries and illnesses begin to heal and over time the practitioner experiences the benefits of pain relief, increased strength, flexibility and pure energy for more abundant living. The mind becomes more calm and clear, the effects of stress are dramatically reduced, internal awareness grows and your own unique talents and potentials are unlocked and begin to blossom. At rest in the heart of love and quietude, the spirit is free and joy becomes your dwelling place. Tai Chi (Grand Ultimate) and Qigong (Vitality Cultivation) are currently enjoyed by more than 2.5 million Americans and have been called the slow, graceful path to health. You may be asking yourself: Can I really feel more alive in body, mind and spirit and live my life more abundantly? Based upon my own personal experience and the experience of so many others—Yes, absolutely yes! When I was diagnosed with Lyme disease in 1993, I had been ill for six long years. During those six years, my husband and I had consulted with numerous doctors and I had undergone countless tests and several courses of therapy, but nothing proved conclusive or effective. Somehow, we knew there was an answer out there, we just hadn’t found it yet—and even after we received the diagnosis of Lyme disease, it would be several more years until our path led us to the healing modalities that would eventually restore my health. My husband, Chris, and I have often been asked: how did you do it? How did you hang on through all that uncertainty? How did you survive? The answer is simple: faith, hope and love, a positive outlook and laughter. Though simple, the answer was not always easy. There came a point during that first year when the weight of inescapable illness, disorientation, fear and despair became overwhelming. In the face of the terrors that would one day in the distant future be categorized as Lyme disease, we came to realize that the only certainty and true freedom we possessed was our choice in how we would approach our lives, including the illness and all that came with it. From the beginning, Chris focused as much as possible on the humor of things, one of his natural gifts. He would tell me silly jokes, sing silly songs, make ridiculous comments—just to keep us laughing. During that first year, my mother-in-law, Charlotte, gave us a copy of Norman Cousins’ book, Anatomy of an Illness. This life-affirming, triumphant book details Mr. Cousins’ courage and tenacity in the face of a mysterious, crippling disease from which he was not expected to survive. Inspired by Cousins’ words, Chris and I increased our watching of funny movies and television programs, including: Candid Camera, M.A.S.H., I Love Lucy, The Bill Cosby Show and Frasier. To this day, just thinking about our favorite Candid Camera episode, The Hungry Hand, sends us into peals of laughter. Laughter was a means for us of holding on and fighting back; those good, old-fashioned belly laughs made us both feel so much better! 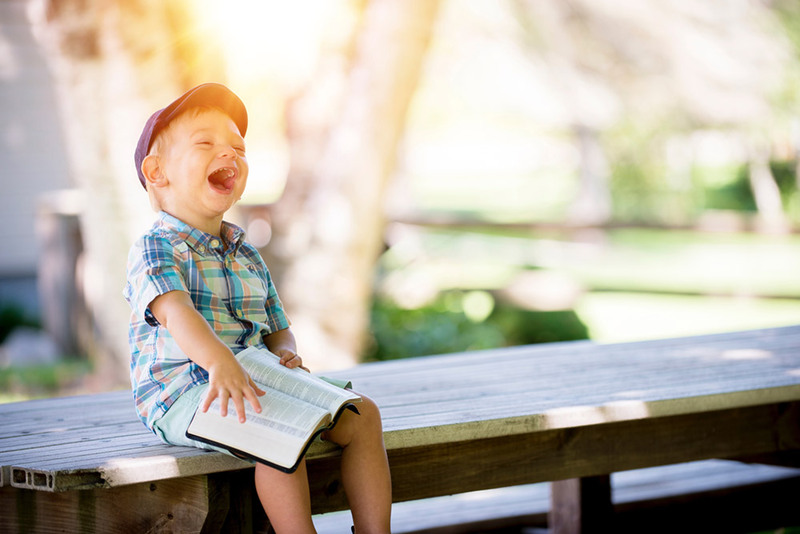 The pure, simple joy of laughing out loud not only eased the painful symptoms I was experiencing, it helped us to remember what it was to be truly alive and grateful for every moment. Years passed and, ultimately, I was led to Osteopathy and then to the miracle of Traditional Chinese Medicine. All the while we continued to laugh. I began to grow stronger; I no longer had chronic flu-like symptoms, I could walk again, I had less pain, less pressure in my brain and spinal cord, my neurological system was calmer and not so prone to seizure activity. After three years of consistent improvement, I sensed there was still something more I could be doing to restore myself to full health. I asked in prayer to be guided to the next step in the healing process, and the words Tai Chi came to me. At the conclusion of my very first Tai Chi Chuan lesson, I knew that this was what I was meant to do for the rest of my life. I had found a path and a renewed purpose for my life. I had the opportunity to study the Yang Style Tai Chi Chuan Short Form at our local Junior College, and then a Dragon and Tiger Qigong class at our Community Center. One of my early teachers recommended that I apply for an upcoming Wu Style Tai Chi Retreat. I didn’t know if I would be able to manage a 5-day intensive, but I did well and loved every minute of it! My brother, Tony, a life-long martial artist, recommended that I study with Masters Donald and Cheryl Lynne Rubbo of Rubbo Art of Energy. I met them at a World Tai Chi & Qigong Day event they were sponsoring and in the raffle I won a month of Tai Chi Chuan and Qigong classes. I had found my teachers. After a few weeks, I asked about the Teacher Training program and within the space of twelve months I was on my way. Throughout my years of study, laughter in our classes, workshops and training programs was emphasized over and over again. Sometimes, our teachers would do funny things just to make us laugh and lighten the ‘concentrated seriousness’ that can sometimes accompany the learning of new movements. I often heard them say that everyone—particularly the elderly and those suffering from illness—should have at least nine good belly laughs per day, and we would always end our Wellness classes with nine rounds of Laughing Qigong. The practice of Laughing Qigong is very simple and can be employed at any time, alone or in a group! Sit or stand comfortably. Place the palms, left over right, over the lower belly, just beneath the navel. Smile inwardly, authentically and inhale deeply into your lower abdomen without strain or tension, feel the belly rise against your palms. Exhale as you make a jolly Ha, Ha, Ha, sound. Gently pressing the palms into the belly with each Ha sound. Exhale fully and allow the belly to be relaxed. Inhale and repeat a minimum of nine times. Do this every day and notice how you feel today, next month, next year! The intentional choice of living every aspect of our lives from a place of joy and love and hope is vital, particularly for those suffering from illness. Personal experience has shown me that illness never strikes a single person; it strikes everyone who cares for that one, unique person. All individuals suffering from life-threatening illness, and their loved ones, tend to live in a contracted environment that can impede hope and the free flow of life force energy (chi). The healing power of laughter helps us break free from the physical and emotional shackles of illness and stimulates the strength, flow and function of chi; laughter is an uplifting, expansive tide that floods the body, mind and soul with hope, and brings miraculous life and health-enhancing benefit to all. Laugh well, and laugh often! (6) Healthforce, The Health Books’ Health Book, by Robert T. Lewanski and Robert A. Zuraw, p. 62, Taoist Publishers, Waterford, MI, 1982. © 2011 Elizabeth Meloney—All rights reserved. A few weeks back, Josefina and I were at Suzie’s Studio for our Saturday morning Tai Chi Chuan and Qigong class. In the warm quiet of this lovely space the class participants had relaxed into what we would describe as ‘a state of healing peace.’ Then, into the stillness of the morning came the sound of a rolling, rackety skateboard. The sound persisted. The sound grew louder. The skateboard and its rider were now in the parking lot and it appeared the rider had found the perfect place to practice—right in front of our studio door. . . This experience brought home in a humorous way some of the more profound benefits one can realize from practicing the Internal Martial and Healing Arts, including: mental clarity, focus and stability, calmness, joy and peace of mind. We live in an increasingly noisy world that competes for our attention with whispers and bangs, and everything in between. 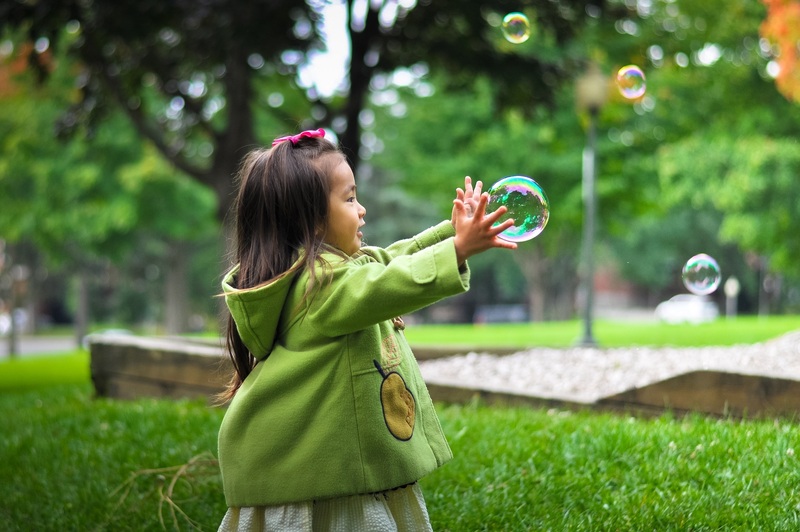 In addition to the sounds of life and activity all around us, our focus is often distracted by numerous technological ‘connections,’ and our minds are filled to the brim with thoughts and concerns of all kinds that continually intrude upon the precious moments of quiet we try to carve out for ourselves. Over time, this ‘noise’ can have a cumulative and sometimes damaging effect upon our nervous system, our general health and well-being. In our Tai Chi Chuan and Qigong classes, we speak about the many benefits of cultivating an all-encompassing awareness—the ability to be deeply aware of what is happening in both your inner and outer environments, without being distracted away from whatever it is you are engaged in, be it the practices of Tai Chi Chuan and Qigong, or any life activity. It is this gently-penetrating focus that allows the practitioner to deeply rest, relax, release—and quite literally—let go of stress, trauma or discomfort on all levels of body, mind, emotions and spirit. Perhaps even more importantly, it allows one to find quietude, clarity and peace of mind amidst chaos, and that ability is no small thing. It was inspiring to see how well the class participants maintained their gently-relaxed focus, despite the persistent, rolling racket just outside the door. Towards the end of the class, the rider rolled away and continued on down the street. I found it interesting that of all the places in the neighborhood the skateboard rider could have chosen to practice, he chose the place right outside our studio. The timing of it all was interesting, too. A few minutes later, we brought the class to conclusion and looking at one another, smiled in understanding. © 2012 Elizabeth Meloney—All rights reserved. 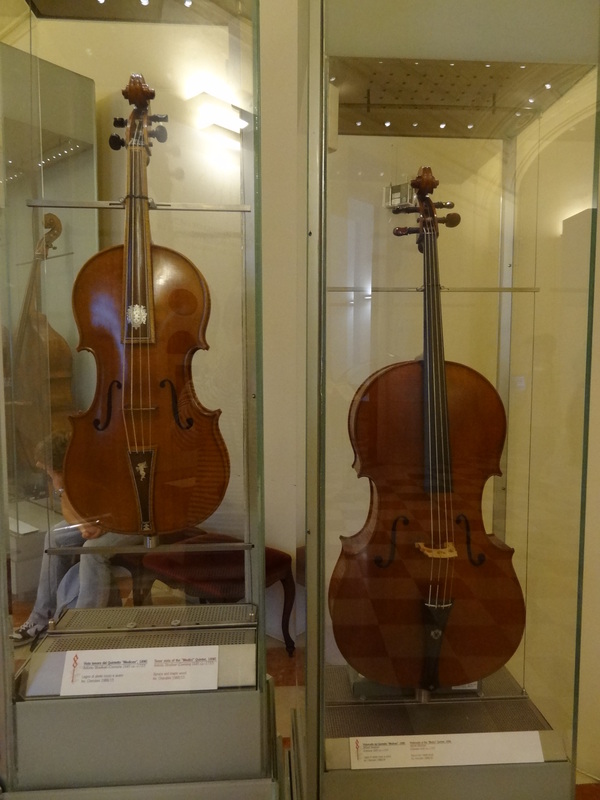 This photo of two Stradivari cellos was taken at the Accademia Gallery in Florence. We learned that these magnificent instruments are removed from their enclosures just once per year and played for about ten minutes. They are then carefully placed back in their cases where they will remain untouched for another year. I found this to be incredibly sad. 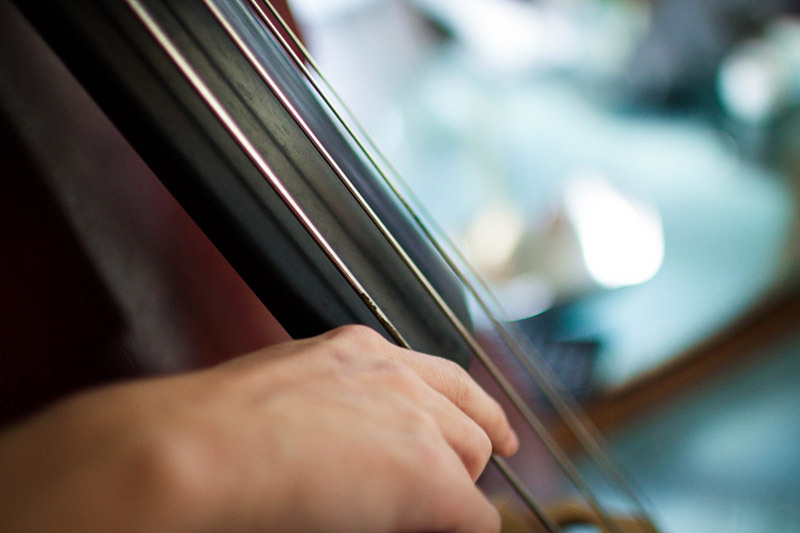 These cellos were made by an exceptional artist; they were made to be played and enjoyed. Did you know an instrument such as this needs to be played on a regular basis in order to both maintain and further develop the harmonious potential of its own unique voice? How much more so a miraculous human being? In the nei gung (internal work) of Tai Chi, we come to understand the ligaments and tendons in the body as comparable to the strings of a magnificent musical instrument—too tight, the sound will not be sweet; too loose, there won’t be any sound at all. The musician devotes time and care to tuning the strings of the instrument and when played, the resonance of this perfection sounds throughout the body of the instrument. There is not one wee particle of space within the instrument that does not carry the infinite beauty of this quality, and neither the strings, nor the instrument, nor the musician are ever strained or ‘overworking’ in the accomplishment, they simply are. For the potentials of divine music to come forth, the conditions must first be right. Just as a musician adjusts and tunes her instrument prior to play, so too does each Tai Chi player adjust and tune their body, mind and spirit prior to play—quieting, stretching, bending, opening, closing, relaxing, breathing, smiling, letting go—gently creating the harmonic conditions for resonance, and for music. Over time, and with guidance and practice, this resonant quality becomes easier to attain and inhabit; it becomes a part of our ongoing natural state, not separate, not different from the vibrant, magical music of life itself! © 2012 Elizabeth Meloney. All rights reserved. 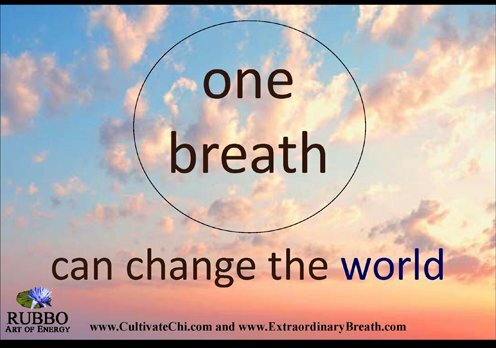 Our teachers, Masters Donald and Cheryl Lynne Rubbo, have founded World Takes a Breath Day with the intention of sharing the profound healing benefits of deep, diaphragmatic breathing with the entire world. Could it really be possible for you to automatically feel more relaxed, increase your mental power, boost your energy, strengthen your immune system and feel happier with one easy-to-learn exercise? In a word, YES! The Extraordinary Breath practices intentionally influence the biological and chemical changes in your body and brain, and bring instant relief from stress, anxiety, depression and low oxygen intake. Join us in celebrating the second annual World Takes a Breath Day as we breathe as one world! On Friday, November11 at 11:11 a.m. take several Extraordinary Breaths and help us create a moment of peace, joy and healing that ripples out across our planet. Date/Time: Friday, November 11, 2011 at 11:11am. Why is deep, natural breathing so important? Shallow breathing results in hyperventilation (rapid breathing), breathing out too much carbon dioxide (over-breathing), and an oxygen deficiency in the organs and tissues. Symptoms include feeling jittery, nervous, an increased heart rate, dizziness, disorientation, and a feeling of being disengaged from your life. Deep, diaphragmatic breathing, the type of breathing we did when we were infants, will calm your nerves, slow your heart rate, reduce pain, bring clarity to your thoughts and an easing of your overwhelming emotions. The importance of deep breathing for body, mind and spirit cannot be emphasized enough. Download the free Extraordinary Breath free eBook (translated in several languages), to begin practicing the Extraordinary Breath now! 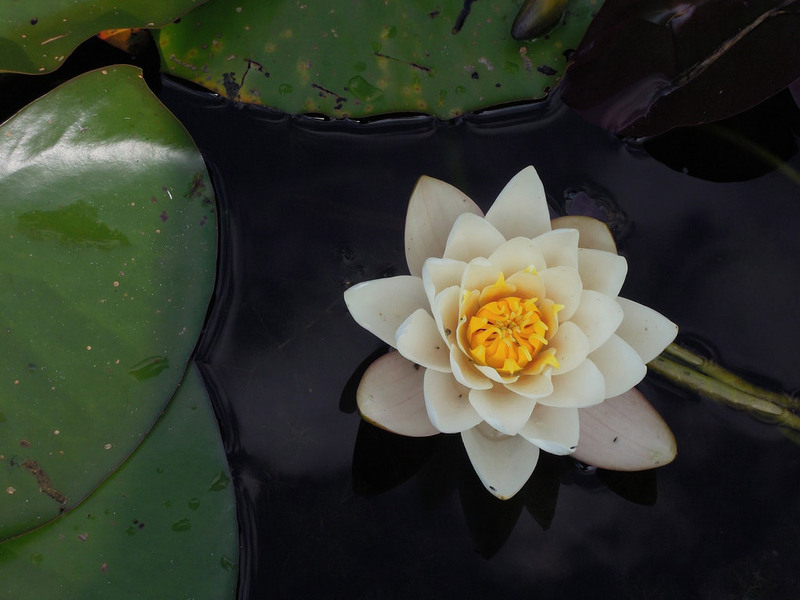 The following piece chronicles my own experiences with deep breathing and is excerpted from the book, Extraordinary Breath: Making the Power of Deep Breathing Work for You, by Masters Donald and Cheryl Lynne Rubbo. When I first heard my beloved teachers speak of creating sacred space, my heart jumped up; this is what I had longed for. As a child, I had felt a strong connection to the divine and the immutable qualities of grace. I had been born with a sunny outlook and an even sunnier disposition, but over time and with the experience of loss, injury and illness that connection grew less tangible and my life became burdened by struggle and uncertainty. It seems strange to think of it now, but at the time deep breathing was a thing that was almost unnatural for me. I had been challenged with asthma for most of my life and then a long, life-altering illness further compromised my respiratory system. My situation was grave and our doctors could not be certain that I would recover; my husband and I continued to search. In 1997 we were referred to a Traditional Chinese Medical Practitioner, and under his care I began to improve; the hope in our hearts was kindled. After two years of steady improvement, I sensed there was still something more I could be doing. I asked in prayer to be shown the next step and over the course of several months the words ‘Tai Chi’ came to me. My brother, a life-long martial artist, referred me to Master Donald Rubbo. In those early months of study, I learned the importance of the breath. Even though I had been an accomplished athlete, I had for years—forever—tried to ignore my noisy lungs and persistent cough, but Sifu helped me to see that I needed to treat my injured organs with the same love and nurturing quality that I would show a baby. Every day I practiced the exercises and forms that he and Shirmu taught me, and before long I began to see improvements in my energy and strength. My breath became smoother, more expansive and my lungs less irritated. I was also sleeping better because the crushing weight of what I had described throughout my life as ‘the elephant sitting on my chest’ was now gone. And there was something more, much more. . . The Extraordinary Breath practice helped me to penetrate the physical and emotional distress of asthma and chronic bronchitis, and gain entrance to a calm and luminous place at the core of my being. It was in this luminous place that I could rest in the sacred, beyond the constraints of fear or pain or illness. The more I rested in this sacred space, the more my everyday life took on that same luminous quality. Sifu had shown me that the sacred space within is just a breath away. As Tai Chi players, each time we enter the sacred space of the practice court we have the opportunity to mindfully engage in the creative process and renew ourselves from the inside out. The creative process in the internal arts of Tai Chi and Qigong is about renewing, expanding, liberating and it is also about manifesting. Throughout my years of study, my teachers have impressed upon me the vital importance of individual practice and investigation–the art of completely penetrating a Tai Chi or Qigong movement and becoming one with all aspects of it. This is the heart of the creative process, and it is through the creative process that we continue to refine in body, mind and spirit. From the very beginning, this is one of the aspects of Tai Chi that enthralled me so completely: I had found an activity that was challenging and engaging on all levels; it was an art I could spend the rest of my life investigating and refining. While the angle of investigation may be unique to each Tai Chi player, the aspiration is the same: to be Tai Chi. What does it mean to be Tai Chi? To truly live in the present moment, awake, aware and free; to truly be the unique, authentic human being we were created to be. My Sifu, Master Donald Rubbo, says: “Our thoughts determine our reality. There is no difference when speaking of penetrating a movement, in becoming the movement, or in becoming Tai Chi. As long as the perception exists that I haven’t acquired it yet, that is how it will remain. Also, the desire of being it pushes it into the future to some time that may or may not manifest it. If we keep pushing something into the future every day, how can we ever create the reality, or view, in the present moment? We are faced with choices all the time: there are actions taken, and actions not taken. I would argue that even an action not taken is in itself an action taken. Neutrality will ultimately find us losing ground. Change is constant, change is unchanging, and the nature of change does not permit a permanent, comfortable footing. Sifu has spoken about how ‘habits’ continually bring us back to unhealthy and uncomfortable patterns. Thankfully, we can choose to free ourselves of these uncomfortable patterns through the creative process of transformation. While the idea of transformation is extremely appealing, the actual process of transformation often brings us to a point of discomfort–sometimes extreme discomfort. With patience, persistence and compassion this discomfort ultimately gives way to liberation and undiluted freedom. How do we help our students understand this? Some students have faith when we tell them this discomfort will come to an end, some don’t. Sifu says to keep on with the practices and hold the image of your healthy, happy, fulfilled self in the here and now. See it now! Live it now! Be it now! Tai Chi Chuan, Qigong and Meditation are vehicles to help each individual be present in the moment, and the present moment is a very special destination indeed. When we truly inhabit our unique, authentic nature, the potential is limitless. Sifu asks: How many seeds are in an apple? How many apples are in a seed? Who can tell the limitless potential of an individual seed, or a precious human being? I’ll never get to that level. This is where our mind should be during our practice: welcoming in the limitless potentials of health, joy, compassion, wisdom, internal power, and more. Why? Because it is here, in unity with limitless potential, that we can effortlessly create the most meaningful life possible for ourselves, not just on the practice court, but in all aspects of life. In this way, too, we can positively affect our family, friends and broader community. Where do we start? How do we begin? Wood—expansion—outward in all directions. Associated with the liver and gallbladder and the season of spring. Fire—ascending energy—rising energy. Associated with the heart and small intestine and the season of summer. Earth—stabilizing, foundational, lubricating energy. Associated with the spleen and stomach and the change of season, particularly the transition between summer and autumn. Metal—absorbing, magnetic, drawing inward from all directions. Associated with the lungs and large intestine and the season of autumn. Water—downward, heavy, accumulating, flowing kind of quality. Associated with the kidneys and bladder and the season of winter. Goal: to develop awareness and felt sensation of these energies, and internal power, abilities and wisdom. These are not simply words on paper–they are also seeds of thought. Cultivating and nurturing these thoughts brings them into action. This is all part of the alchemical, creative process. Stand in ‘Holding the Ball’ with hands at height of solar plexus or Lower Tantian. Place your awareness in the Lower Tantian and breathe into the area of the Lower Tantian without force or strain, and allow the breath to be long, slow, smoothe and even. Now, stand in the vast, inner sky of limitless potential. Call on the ultimate aspect of limitless potential right away, in this moment. The Five Elements are manifest in this moment, and we are not separate from them; we are one with the limitless potential of the Five Elements, not separate, not different. Gather, wash and bring all to the lower Tantian to conclude the practice. Is this sacred space of unity and limitless potential resident on the practice court alone? Sacredness is everywhere, in everything and in everyone, not simply in a sacred building or practice space. As Tai Chi players, we can bring the sacred mindfulness of our practice everywhere, to everything we do and to everyone we meet. Ultimately, this sacred awareness encompasses every life activity from the mundane to the sublime. To truly live in the present moment, awake, aware and free; to truly inhabit the unique, authentic human being we were created to be. This is Tai Chi! When Josefina and I were beginning to think about a name for our Tai Chi Chuan and Qigong school, we immediately turned to A Mnemonic of Thirteen Tai Chi Chuan Movements for inspiration. The Mnemonic is an ancient poetic treatise that speaks of the profound art of Tai Chi Chuan. From the beginning of our studies, our teachers, Masters Donald and Cheryl Lynne Rubbo, had encouraged us to make a study of the Mnemonic, impressing upon us the importance of every syllable. Their teacher, Sifu Kuo Lien-Ying, had recited it every morning before his own practice. The Mnemonic continues to be a daily part of our ongoing investigations, and it is something that we share with each of our own students, as well. The youth of eternal spring. That phrase had always been pure magic for us. Eternal Spring! How about Eternal Spring Tai Chi Chuan and Qigong for the name of our school? We looked the name up on Google, and learned with disappointment it was already being used by another school. A few days later I was meeting with Cheryl Lynne, and she asked me how the search for a name was going. I told her about our first thought and the outcome. She nodded, paused for a moment, and then told me about a video memoir she had just seen created by their tai chi brother, Randy Fung. This beautiful film is centered around Randy’s personal odyssey in the martial arts, and more specifically, his time at Portsmouth Square with their legendary teacher, Sifu Kuo Lien-Ying. Cheryl Lynne described a particular section of the movie featuring archive footage from the 1970’s. A local television host was interviewing Sifu Kuo and he was speaking about Tai Chi Chuan and the cultivation of internal strength. Cheryl Lynne told me how later in this same footage Sifu Kuo describes The Universal Post Standing Practice, one of the pillars of our lineage, as the way to cultivating eternal strength. “I think you should use the name Eternal Strength,” Cheryl Lynne said. Arriving home, I was immediately drawn to The Ancient Poem of the Universal Post that is contained in The Tai Chi Boxing Chronicle, compiled and edited by Kuo Lien-Ying, and translated by Guttman. I had read this poem many times, but I was seeing it now with new eyes. The words settled in my heart and condensed into my bones. And so, with deepest gratitude to our teachers and to the lineage, the name of our school, Eternal Strength Tai Chi Chuan and Qigong, came into being. And the bamboo designs that appear on both our website and weblog? We chose bamboo because it signifies strength and resiliency. In the storms of life, the bamboo bends, but does not break; when the storms pass, the bamboo resumes its upright posture. Always resilient. © 2010 Elizabeth Meloney—All rights reserved. Links are appreciated, but copying or distributing any portion of this article without written consent is prohibited. In Tai Chi, we learn that the joints of the knees and all the supportive connective tissues and fluids can be seen as a contained, pressurized system through which the energies of heaven and earth flow. If there is a ‘leak’ in the system, brought about through acute injury or chronic misalignments, that contained hydraulic system will begin to lose its tone and resiliency, the energies will be blocked from flowing smoothly and the clear communication of Heaven and Earth will be obstructed. The principles of maintaining or regaining health in the knees apply not only to Tai Chi players, but to anyone interested in maintaining their health and joy in life.